Admin dashboard is also known as a back-end, from where a user or administrator controls the site data control apps and manage the site. Admin Panel is also a Content Management System [CMS]. You can also use an admin panel like writing content, writing posts. manage applications, manage the data that’s come from users. WordPress is also a popular CMS. Using Admin Panel or Back-end you can add, edit, delete, update any content on the website, but you need a control panel where you manage your content, and that control panel called Admin Panel or Backend. Now come to the point and see top responsive admin dashboard HTML templates. Gentelella Admin template is a free Bootstrap admin template. This template builds on Bootstrap 3 styles along with a variety of powerful jQuery plugins and tools to create a powerful framework. Gentelella is licensed under The MIT License (MIT). Which means that you can use, copy, modify, publish, distribute, sublicense, and/or sell copies of the Software. Sufee is a responsive Bootstrap 4 Admin Template. It has a collection of ready to use code snippets and utilities, custom pages, and it has some useful widgets. 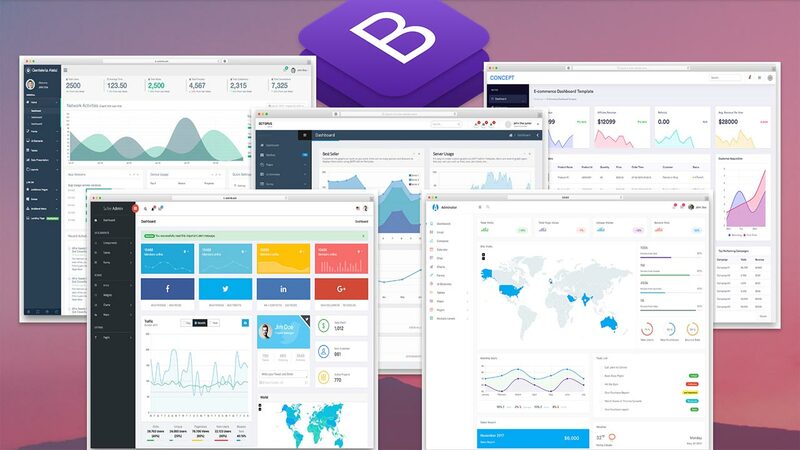 The concept is a responsive Bootstrap 4 admin template. It provides you with a collection of ready to use code snippets and utilities, custom pages, 4 different dashboard variations, a collection of applications and useful widgets. Octopus is a free HTML5 admin dashboard template with the bootstrap framework. Octopus is a really beautiful interface. it has a multi-level dropdown menu. you can customize easily. you will find many features in this admin bootstrap template. Adminator is the best admin template in the market and its free. you will find the latest feature available on this. Adminator is also based on Bootstrap 4 latest package. Adminator is licensed under The MIT License (MIT).